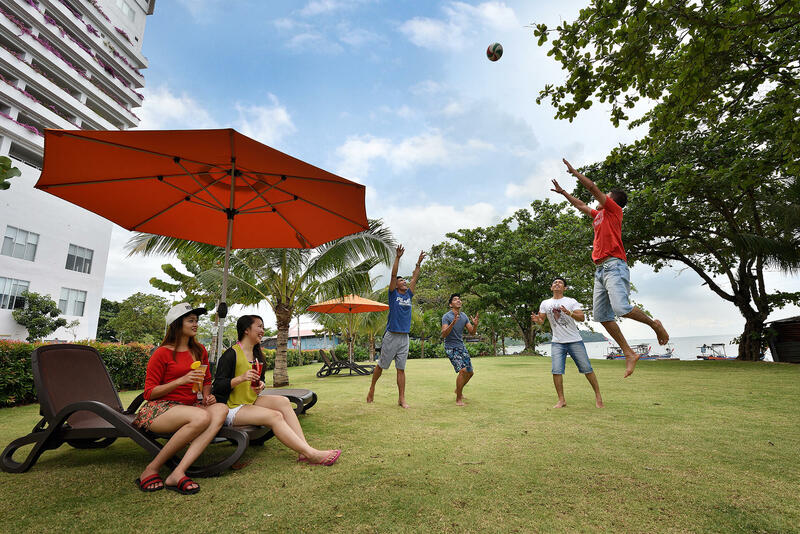 For those who enjoy sporty fun outdoors and are drawn to the fresh sea breeze and sunlight, Lexis Suite Penang offers you some of the most enjoyable outdoor recreational activities to satisfy the more adventurous side of you. What better way to sweat it out while having a howling good time than to have a friendly match of beach volleyball, mini futsal or sepak takraw on the sandy white beach. Just don’t forget to lotion up before you go out and bask in the glorious beachfront sun’s rays! Also known as kick volleyball, sepak takraw is a sport native to Southeast Asia. It differs from the similar sport of footvolley in its use of a rattan ball and only allowing players to use their feet, knee, chest and head to touch the ball. Fans all over the world are passionate about the sport for its graceful movements and the strong team spirit it inculcates. Beach volleyball is played on a sand court divided by a net. Each team can consist of 2 to 6 players trying to send the ball over the net and to ground it on the opponent’s court. Beach volleyball is a great way to increase your heart rate and endurance while getting your feet sandy! Mini futsal is a variant of association football played on a smaller pitch. It emphasizes on improvisation, creativity and technique. It’s the perfect game for you if you enjoy a fun, fast-paced, skill-oriented game of non-stop action. Beginners of the game need not worry as they will be able to develop an improved technical understanding of the game very quickly.